A product of the Association for the Advancement of Creative Musicians who studied with AACM founders Anthony Braxton and Roscoe Mitchell, saxophonist Mars Williams is most famous as a member of The Psychedelic Furs but has proven his jazz bona fides with Peter Brötzmann and Ken Vandermark and while guiding Liquid Soul and Hal Russell's NRG Ensemble, to name just a few. His rock CV is also varied, including many years in Akron New Wave band The Waitresses and work with Billy Idol, Ministry, Massacre, and many more. He also leads the Albert Ayler tribute band Witches & Devils, and out of their holiday concerts grew a unique tradition. One look at this album's track titles and you'll understand the concept here. One listen and you'll hear that, as odd as that concept may seem, it's brilliantly effective, with the disparate melodies working together in their common projection of joy and celebration. And it's worth noting that Williams's worlds collide on track 3 here, featuring The Waitresses' biggest hit, "Christmas Wrapping." Williams played on their original recording. After enjoying An Ayler Xmas vol. 1 last year, ESP invited him to make vol. 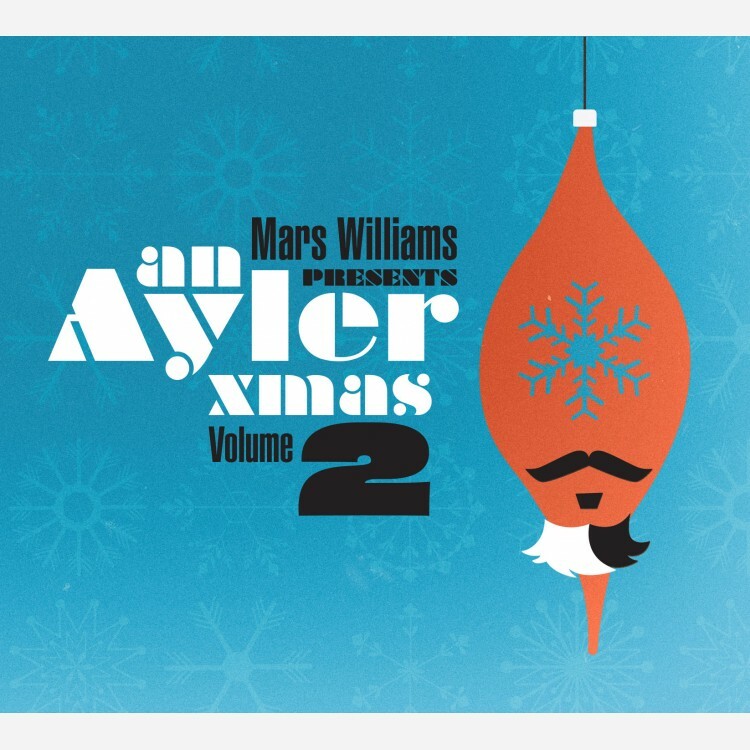 2 a co-release of Williams's Soul What Records and ESP-Disk', the top Ayler label. Mars will be supporting the release with both Witches & Devils' annual Xmas show and tours in the U.S. and Europe using renowned local musicians. See the tour press release for specifics.